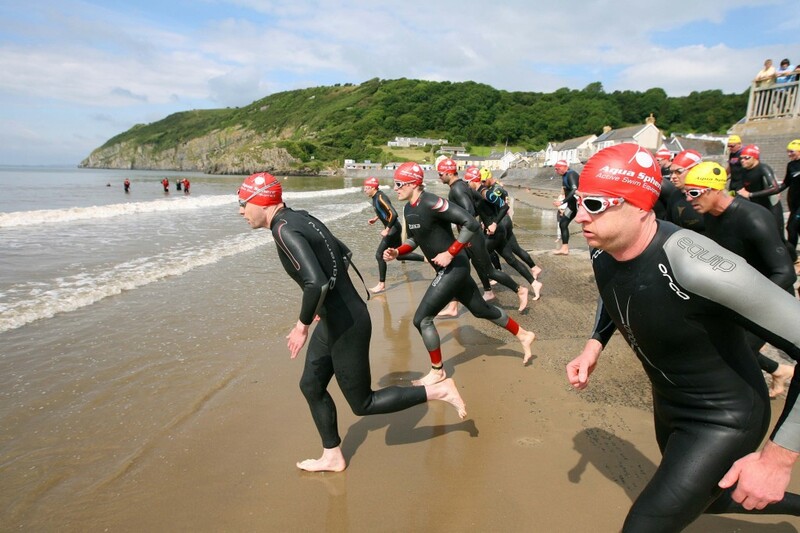 The Pendine Outdoor Sprint Triathlon was a new race on the Triathlon circuit in Wales for 2012. It will now be a Standard Distance Triathlon for 2015. They say a picture says a thousand words well please watch the race video below and feel inspired and enthused for this event and enter in 2015. .
Pendine is situsituated to the far west of Carmarthenshire and is a hidden gem. Pendine Sands is a 7 mile long beach on the shores of Carmarthen Bay on the south coast of Wales. It stretches from Gilman Point in the west to Laugharne Sands in the east. In the early 1900s the sands were used as a venue for car and motor cycle races. From 1922 the annual Welsh TT motor cycle event was held at Pendine Sands. The firm flat surface of the beach created a race track that was both straighter and smoother than many major roads at the time. Motor Cycle magazine described the sands as “The finest natural speedway imaginable”. The first person to use Pendine Sands for a world land speed record attempt was Malcolm Campbell. On September 25, 1924 he set a world land speed record of 146.16 mph (235.22 km/h) on Pendine Sands in his car Bluebird.